THE BEST DIAMOND LOANS MESA OFFERS! Our pawn shop offers the most CASH for Diamond Loans Mesa! The process is quick, painless, and hassle free. You simply bring in your diamonds, and we offer you an appraisal on their value. We give the most money for diamond loans this side of town, so you can rest assured you’re getting more than a fair value for your diamonds. The diamond loans are written out typically for a period of 90 days, which can be repaid at any given time at no penalty. Diamond prices continue to climb as the years go on. They’re more than just a pretty keepsake, they’re valuable, precious gems that are worth a good amount of money. Taking out a cash loan elsewhere you’re subject to credit checks, and to collateral checks, and all sorts of nonsense. Here at Mesa’s favorite pawn shop, we do none of that. Your diamond is the only collateral we care for, and all you need to get fast cash today. There are no types of diamonds that we won’t offer you a loan on! It doesn’t matter if it’s set, scraped, scratched, or whatever, we’ll gladly loan on it! Diamond rings, diamond earrings, diamond bracelets, tennis bracelets, we don’t care. Regardless of cut, color, or clarity, we will gladly offer you a loan on it. With 20 years of collective experience in diamond appraisals, our employees are guaranteed to give you an accurate and honest appraisal of your diamond. 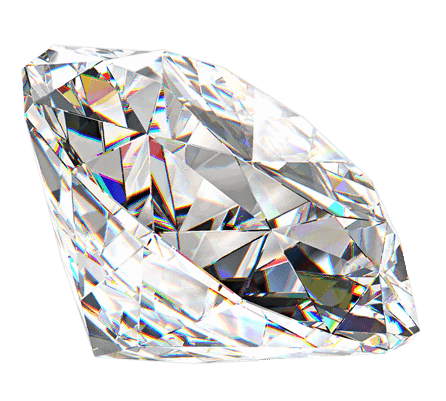 Even if you’re not looking to sell your diamond, feel free to bring in your diamond for a free appraisal. Why should I come to your pawn shop? Our pawn shop has been in business over 20 years providing our customers with diamond loans in their times of need. We invest in diamonds because we believe in diamonds. Be wary of marketing companies disguised as diamond buyers — Oro Express Mesa is a true lender with an emphasis on precious metals and diamonds. At Oro Express Mesa, we take pride in how we do business. All the way from the appraisal to handing over the cash, we aim to be as transparent as possible. If there is ever any questions through the process, or duration of your loan – feel free to ask. Diamond Loans through our pawn shop allows you to keep your diamonds in one of our high security vaults giving you peace of mind that your valuables are safe with us. Do you provide cash loans on other stones as well? Absolutely! Aside from our Diamond Loans we also will lend money on rubies, opals, sapphires, jades, pearls and other precious gemstones and metals. If you bring in your precious gemstones to us, you can rest assured that were going to give you a hassle-free, and honest appraisal. From there it’s up to you to decide whether to capitalize on the opportunity of getting a loan through us. It’s not JUST a diamond loan and jewelry that doesn’t contain diamonds doesn’t count. If it’s of value, we’ll provide a loan for it! How does a cash loan on your diamond work? It is an easy, painless process that allows you to borrow cash against your diamond. You simply bring us your diamond and we’ll give you cash within a matter of minutes. All of our loans are 90 days in length. These loans are flexible to your needs; first off, they can be paid off the day after you’ve got them with no penalty. If that’s too soon, then you have until the end of the term of the loan. Finally, you can even have the loan extended for another 90 days. If you can’t pay back the diamond loan in full at its maturity, you may choose to surrender the diamond as full payment. This simple flexibility is why we are the store with Diamond Loans Mesa residents love to get!